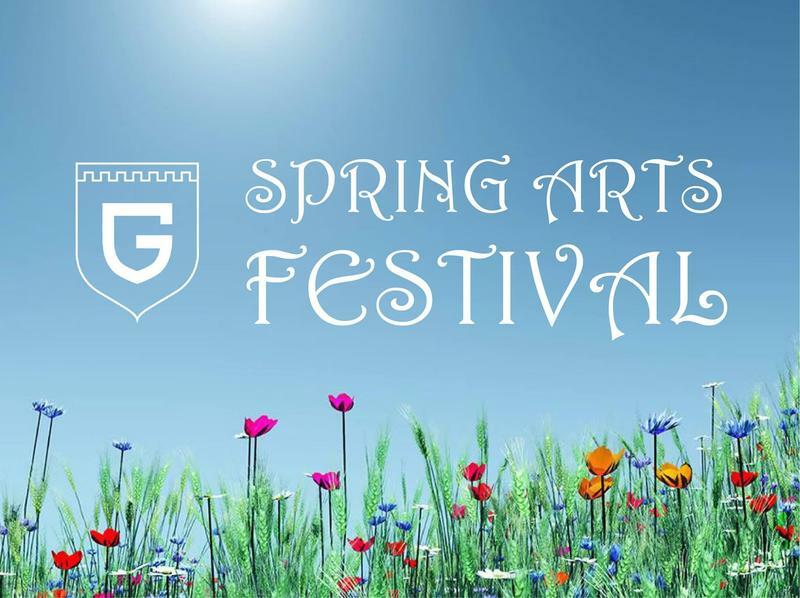 Spring Arts Festival is right around the corner! music program featuring Transition Kindergarten- Fourth Grade, 5/6 Grade Choir, 7/8 Grade Choir, Greenfield Chorale at 6:30pm. Welcome to Greenfield School! I hope you will use this website to learn how a Greenfield education is an education that defines a lifetime. If you are a current student or parent, please take time to find information pertaining to your family, especially our new grade/homework/attendance program, Gradelink. 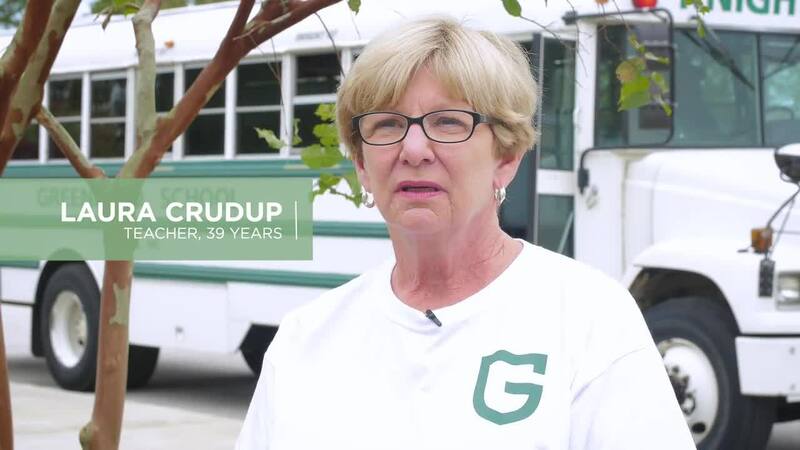 To our visitors, please explore what it means to be a part of the Greenfield family. You will see in our mission statement that Greenfield School promotes the development of the total student, academically through a balanced challenging college preparatory program, socially through leadership opportunities, extracurricular activities and community service, aesthetically through a program of fine arts, physically through interscholastic athletics and a physical education program, and morally through affirmation of honesty, integrity, responsibility, tolerance and the American ideals of freedom and democracy. Thursday, May 2nd at 6pm in the gym. Featuring: The Artwork of our Greenfield Students at 6:00pm and ‘The Great American Songbook’ music program featuring Transition Kindergarten- Fourth Grade, 5/6 Grade Choir, 7/8 Grade Choir, Greenfield Chorale at 6:30pm. 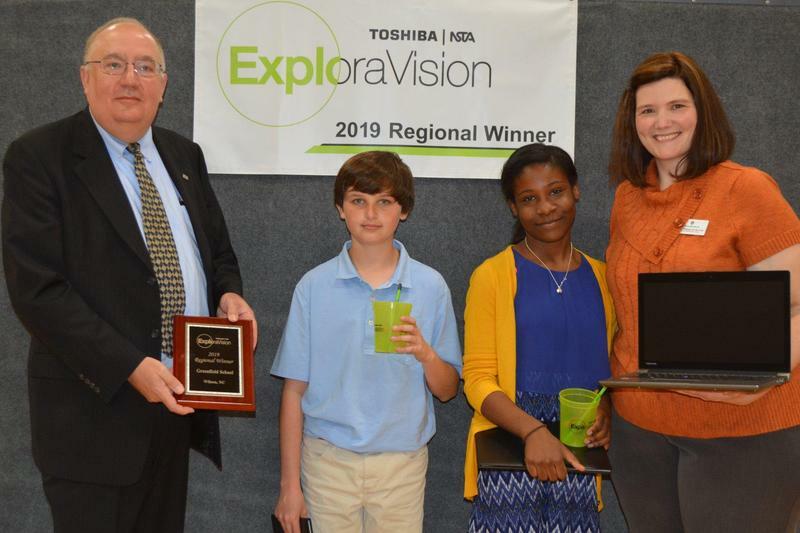 Mr. Duncan Kane from Toshiba joined us to honor our award recipients in the Exploravision National Competition. More than 14,000 students participated and there were more than 4000 projects submitted. Six regional winners are selected, one from each region, to move on to compete in the National Competition. James and Rickayla developed a website and prototype to share about their invention the ADHD watch. Safa has been named the Legacy Scholarship recipient at Meredith College!! Only one student is selected for this prestigious scholarship, which is the highest honor available to incoming freshmen and includes full room and board as well as tuition and even wonderful support to study abroad and help with living expenses!! A Greenfield student has been named the Legacy recipient twice in the last three years!! Congratulations, Safa!! We are all so proud of you!! Congratulations to Will and Sara!! Will was accepted into the online program at the North Carolina School of Science and Math (NCSSM) where he will have the opportunity to take some cutting edge electives for the next two years through this fantastic program while remaining at Greenfield!! 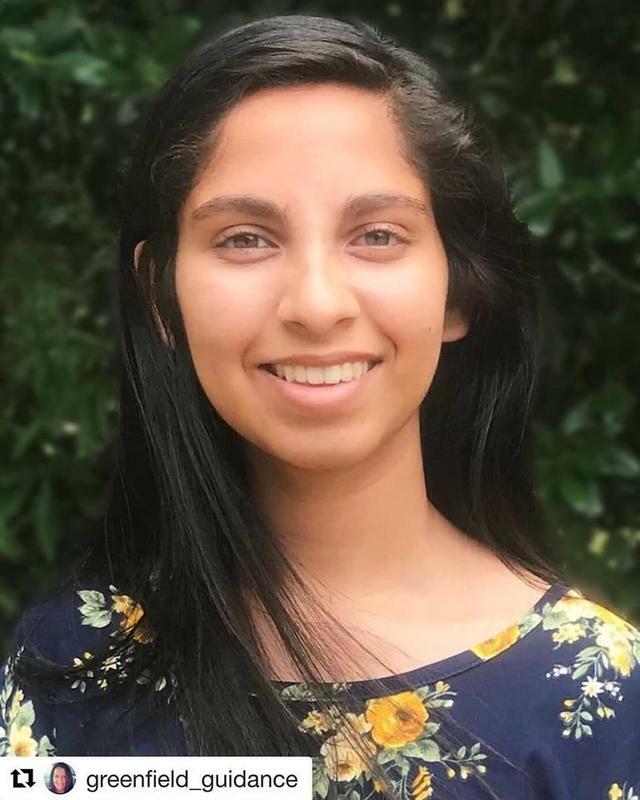 And Sara was accepted into NCSSM's Summer Ventures program where she will spend several weeks on a college campus learning about amazing scientific concepts!! We are all so proud of you and know you will both do big things in these highly selective programs!! 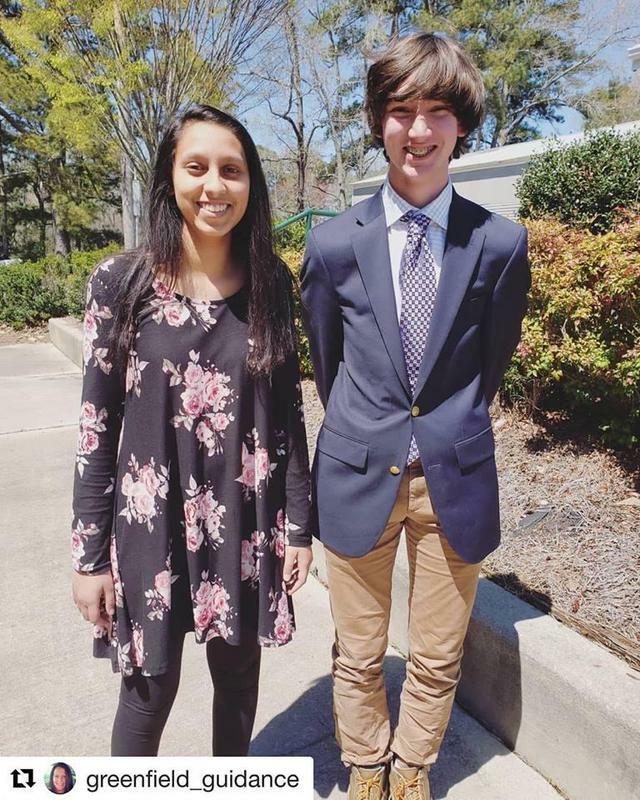 Dane Reynolds and Lydia Denton participate in the Golden Circle Optimist Club Oratorical contest! 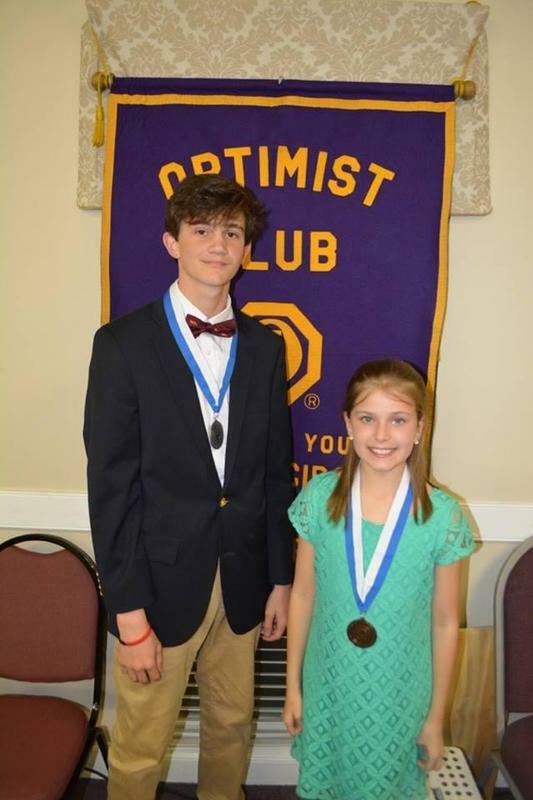 Congratulations to Dane and Lydia on their achievements during the Golden Circle Optimist Club Oratorical contest! Dane, a current 9th grader, came in 2nd place. Lydia, a current 5th grader, came in 3rd place in the contest. Dane will advance to the area contest to be held later this Spring. Lydia is an alternate for the contest, and will compete if the first or second place winner is unable to participate. There were 8 speakers this evening representing schools from all over Wilson county. We couldn't be prouder of these two students and the way that they represented our school. 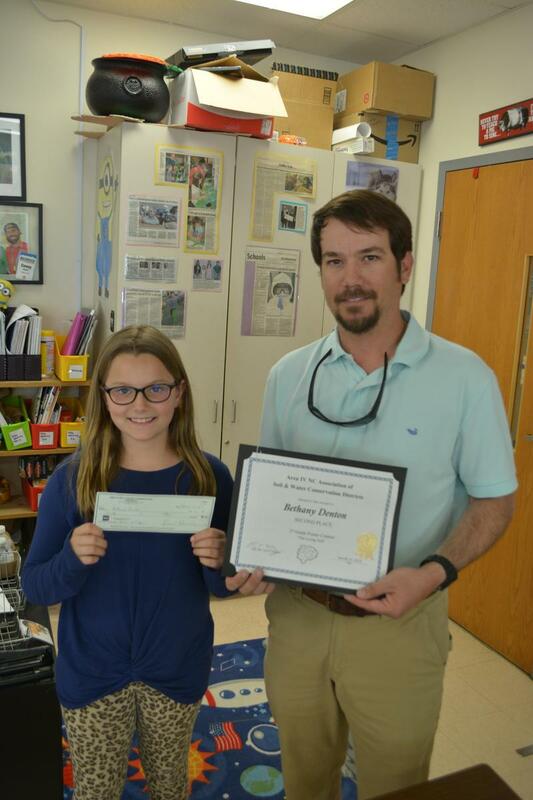 Bethany Denton wins poster contest for soil conservation. Congratulations to Bethany Denton, who's poster about Soil Conservation received second place in the Area Competition Poster Contest. Her poster received a first place in the local county competition and went on to represent Wilson County in the Area Division which consists of Durham, Edgecombe, Franklin, Granville, Halifax, Johnston, Nash, Vance, Wake, Warren, Wilson counties. A representative from the Ag Center came and awarded her the $50 award and certificate in her Science Class.